Your grad school application process is coming together, and you’ve found out that your target schools require the Miller Analogies Test. (Or, if you have an option, you’ve decided that the MAT is the graduate exam for you.) You’re getting to within a few months of your application deadlines, or maybe you just want to get it over with! Either way, it’s time to register for the MAT. In most cases, the MAT registration requirements are straightforward. 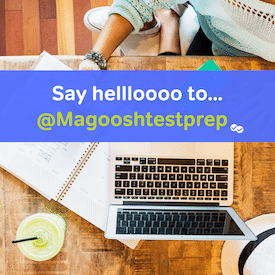 Depending on your testing center, you’ll register over the phone, through a web portal, or sometimes via email. (If you’re not sure, call the testing center.) You’ll be asked for some basic identifying information before your space is reserved. You’ll also need to pay a fee, usually between $70 and $100; this is often due weeks in advance of the exam. Then, on test day, you’ll need to bring a photo ID with you to the center. If you’re given a form that confirms your registration, it’s a good idea to bring a print copy – even if it’s not requested. Where Can I Register for the MAT? For most students, the hardest part of the registration process is actually finding an MAT testing center. Pearson, the makers of the MAT, provide a frequently updated list of testing centers on their website. This seems simple enough, but there are a few things to note. It’s much, much easier to find an MAT center in the US than elsewhere. Pearson currently lists hundreds of testing centers in the US, but only four in Canada and ten in the entire rest of the world. Given those numbers, if you live outside the US, you may need to schedule your MAT during a visit to one of your prospective schools. Alternatively, you might see if your local testing center will consider adding the MAT to the list of exams it offers. Even in the US, testing centers may be rarer than you expect. Unlike the GRE, which is offered at over 1,000 sites, the MAT is offered at a few hundred locations, and the list changes more frequently. It’s important not to assume that your local university will offer the test, or that they’ll do so on a date that works with the rest of your schedule. Testing schedules vary from one center to another. MAT scheduling must be approached on a case-by-case basis. Again, in contrast to the GRE (which is generally offered year-round), MAT testing centers will often schedule the exam on fixed days of the week or month. You might find, for example, that your nearest testing center offers the MAT on the first Friday of each month, or weekly on Tuesdays. Some centers offer the MAT only by appointment. When Should I Register for the MAT? For all these reasons, I recommend that you register for the MAT as soon as you know you’ll need it. Even if you don’t plan to take the test for several months or more, it’s important to check the list of testing centers and get in touch with the center(s) nearest to you. Make sure that you’re clear on their scheduling policies, and confirm they’ll still be offering the MAT when you plan to take it. Finally, it’s important to schedule your test well in advance of your application deadlines (2-3 months is a good window), so that you’ll be able to reschedule or retake if necessary. Setting a test date, even a tentative one, will give you one less thing to worry about. You’ll then be able to focus on studying for the exam and preparing the rest of your grad school application.